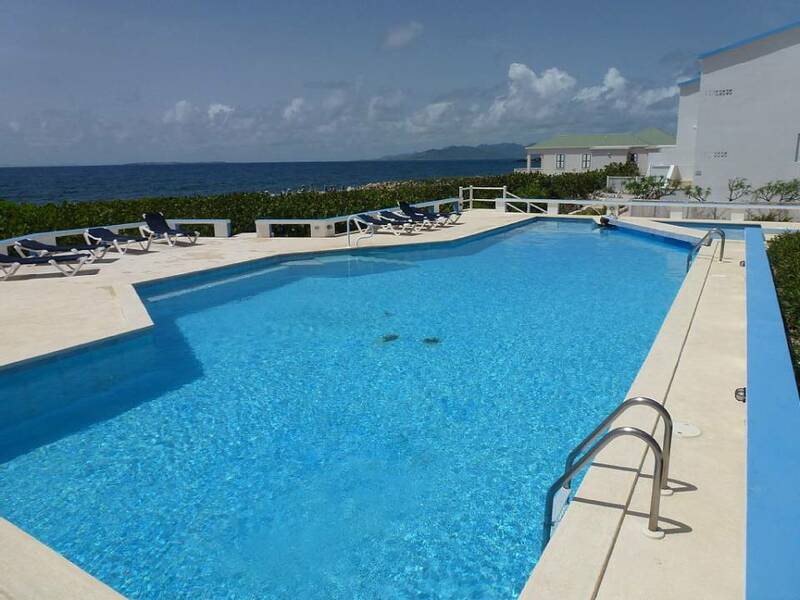 This tasteful apartment for sale in Anguilla’s popular Sandy Hill Club offers a rare combination of comfort and seclusion. 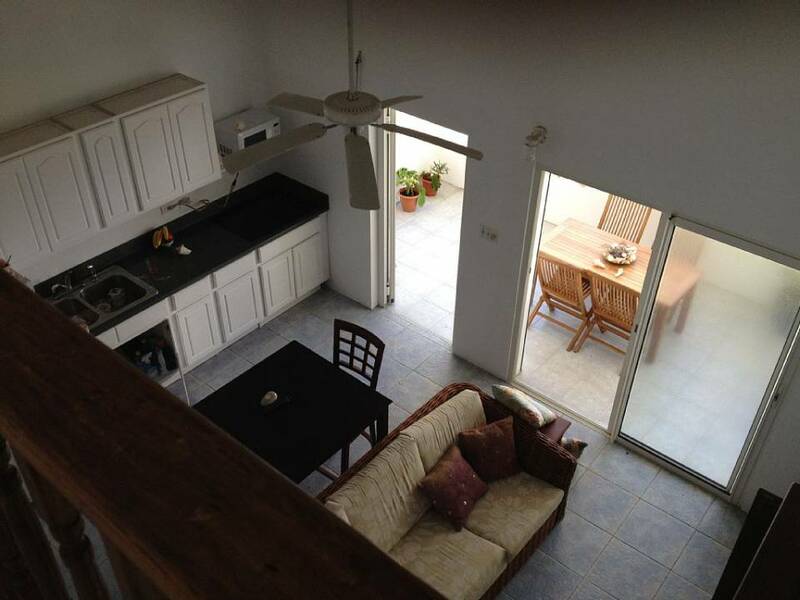 The unit is located on the top floor of the complex’s A building, and comprises 870 square feet. The nicely appointed single-bedroom, single-bathroom pad also boasts a half-width mezzanine, ideal for a small office or an extra bedroom. The outstanding feature of the property, however, is undoubtedly the charming roofed terrace accessible from the open-plan kitchen/dining area through sliding glass doors. 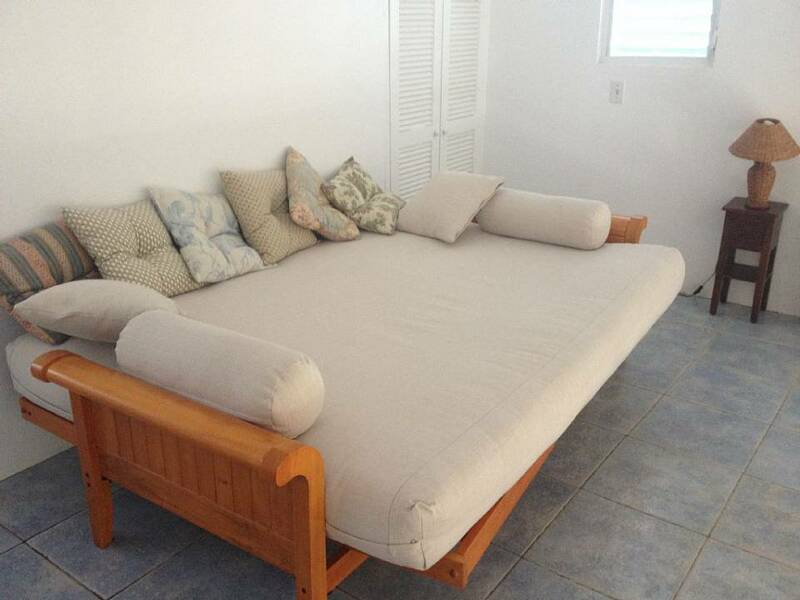 Large enough to sit four comfortably, the open space faces southeast, profiting from the gentle breeze that generally sweeps the island from that direction, and lending panoramic views across the Caribbean Sea onto St. Martin, Tintamarre and the rolling hills of St. Barth. 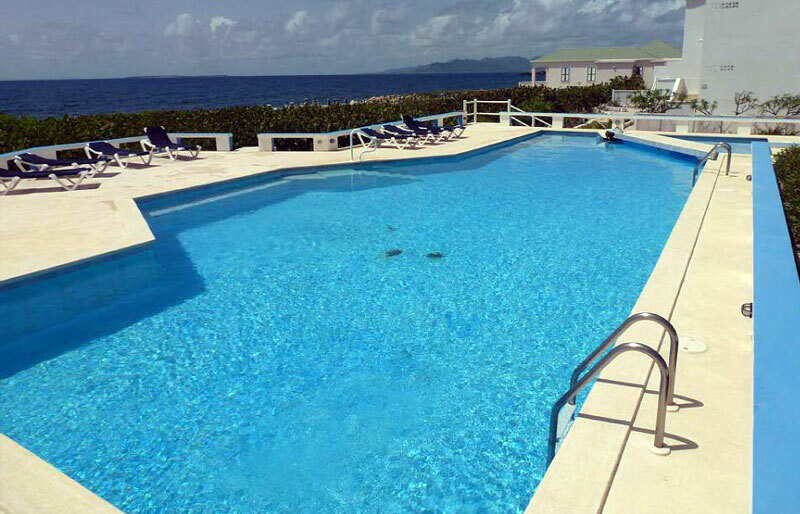 Sandy Hill Club is a much-loved condominium lodged right on the western edge of the quietly enchanting Sandy Hill Bay. The compound boasts a delightful communal pool with views over the deep-blue sea, and a minute’s walk over a marked trail leads to the calmest part of Sandy Hill Bay, a beach so placid behind the natural protection of the coral breakwater that it seems like you haven’t actually left the pool. 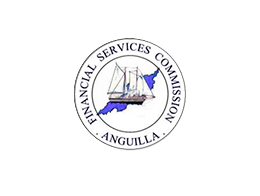 Monthly condo liabilities stand at a moderate US $375, while rental income for the property could easily climb beyond US $1,000. 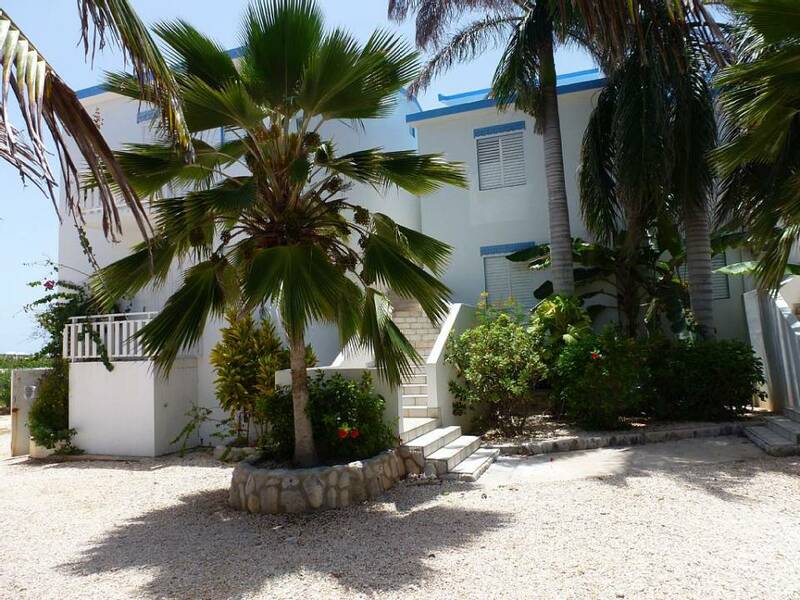 With an asking price of US $270,000 this is unquestionably a sound proposition for prospective buyers looking for an easy and affordable step onto the Anguillian real estate ladder. 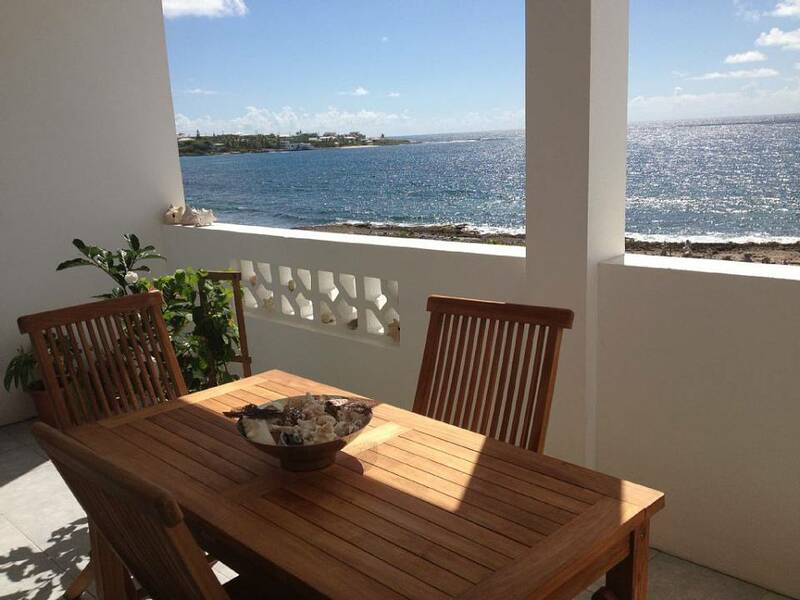 Learn more about Sandy Hill in our individual Anguilla real estate area profiles here.